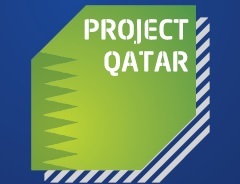 Project Qatar will be back for its 11th edition from May 12th - May 15th 2014. This highly successful show is the 11th International Construction Technology & Building Materials Exhibition. 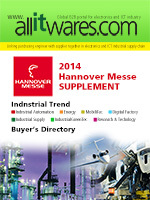 The event attracts key buyers and industry leaders looking for the most up-to-date technology and state-of-the art equipment available on the market. Project Qatar's 2013 edition surpassed all expectations, including its previous edition in 2012, thanks to an overwhelming response from both exhibitors and visitors. Project Qatar's 2013 edition hosted 2,100 local and international exhibitors from 50 countries spread across 62,000 sqm of indoor and outdoor exhibition space. The event featured over 3,000 brands and marked a record increase of 16% in surface area, and 45% in international participation. Profile for exhibit includes Construction tools & equipment, Glass & glazing, Heavy machinery, Roofing systems, Wood products, Lighting, Security equipment, Granite & Marble finished products, Natural stone, Stone products, Abrasives & adhesives, Cutting, polishing & handling equipment, Transport, hoisting & packaging materials.